October 2009, Grand Ole Opry, Nashville, TN: Take 6 and Brian McKnight rehearse in their dressing room for the subsequent taping of, 'Holiday Notes From Home'. Aired on Christmas day on Armed Forces Networks, the taping also appeared on BET. 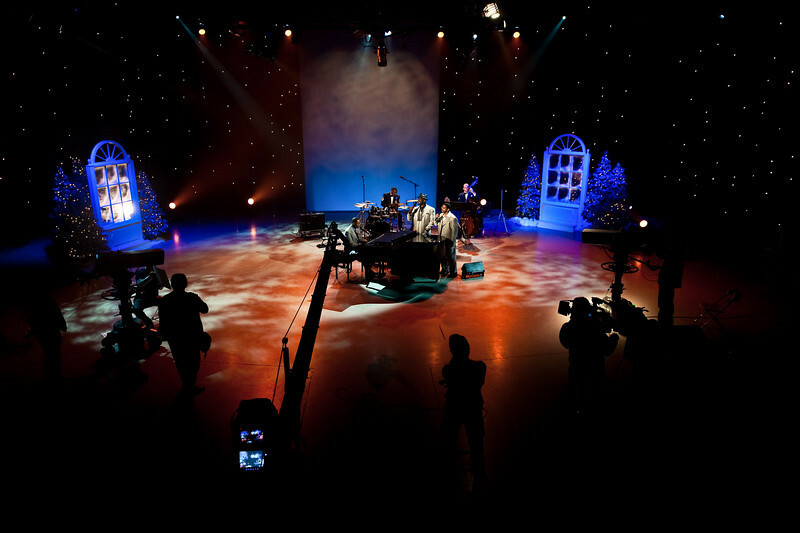 Additional images feature Take 6 rehearsing with Amy Grant and the Air Force Reserve Band for their segment of the special.